Published by Hangzhou Huiwan Technology Co. Ltd. Aim, tap and pop your way through this addictive puzzle adventure! 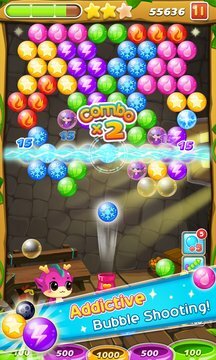 Bubble Legend is an addictive game with 280+ puzzles, join millions now! Bubble Legend is completely free to play, but some in-game items such as extra lives or coins will require payment. You can turn off the payment feature by disabling in-app purchases in your device's settings. - More than 280 magic levels to complete! And more levels are coming soon. - 5 Special Boosters help you get high score. 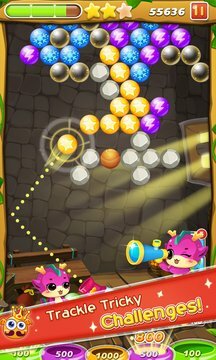 - Cute dragon pups boost your points. Any feedback please email us, because we can't replay on comments. Thanks very much for all your support in our games!